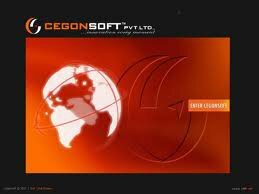 Cegonsoft is a banglaore based it company and we are into training , development and consultancy .We provide training over dotnet with placement assistance .we had framed our syllabus to meet industry demands. NET Framework is a software framework developed by Microsoft that runs primarily on Microsoft Windows. It includes a large library and provides language interoperability across several programming languages. .Net is Language independent, so if the team has multiple skill expertise C#, VB.NET , C++ , developers can still work on the same project with different skill set. MS technologies provides RAD (rapid application development to deviler project faster, customers always prefer faster delivery. Debugging is very effort-less therefore, can fix the bugs quicker. Deployment is very easy and simple. Ajax implementation is simple & easy.